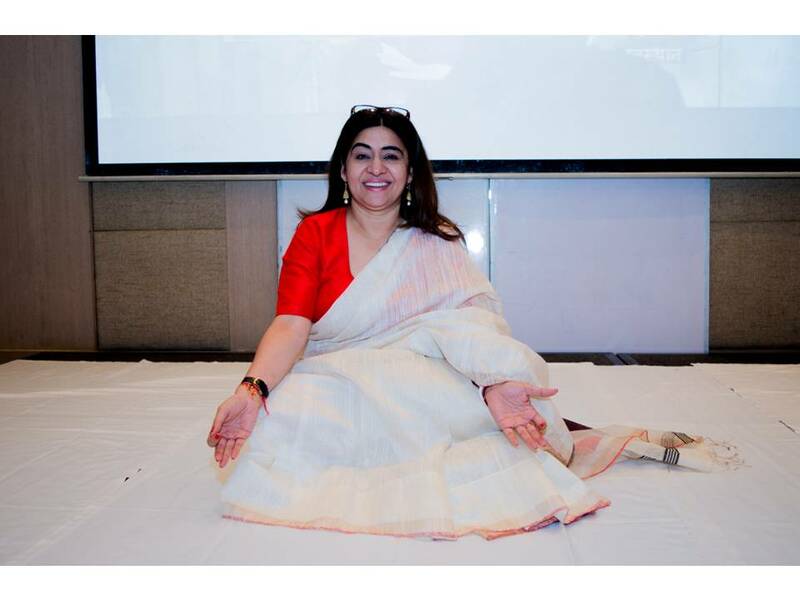 In the past few months, the intuitive healer and counselor Nirmala Sewani successfully hosted a series of unique group sessions to unite the local community in Gurgaon under a common spiritual cause which placed self-awareness, personal transformation and healing and at the forefront of the agenda. Group Counsellings and Meditation Sessions are a powerful catalyst for personal and spiritual growth. Under the guidance of a experienced Spiritual Therapist, the individuals present in the group will help themselves and one another. It offers participants an effective, efficient and economical option for healing relational and emotional issues. Each one of these three sessions had its own theme and subject of focus. The first workshop centered around Meditation with Colour Therapy and was held on Sunday, August 7th at the luxurious Pllazio Hotel, Sector 29, Gurgaon. Colour therapy is a proven method used by the alternative health industry to treat physical ailments and balance emotional and psychological well-being. Colour is simply light that has been split into different wavelengths that vibrate at different speeds and frequencies. Each of these colours have unique effects on your emotions, health and physiology. Sunlight is a blend of 7 different colours- red, orange, yellow, green, blue and violet. Each trigger a specific hormonal response in the human body, which consequently has associating emotional and psychological effects Guests gained an in-depth knowledge on an ancient healing technique that has been used by several world cultures, completely safe and non-invasive way to boost the natural healing processes and lead yourself to the harmony of mind, body and spirit. The workshop had been split into an intensive meditation session and a individual counsellings opportunity which lead attendees to walk away feeling empowered. The Prosperity Enhancement Meditation & Counsellings session with the expert Yagna Acharya Shri Nirmala Sewani took place on 4th September, 11am onwards at the Optus Sarovar Premiere. This intensive group session explored the group’s psychological connection to lack, scarcity and fear and helped them break free of unconscious negative patterns and limiting thoughts The goal of this session was to invite abundance, wealth and prosperity into one’s general mindset and lifestyle. Participants enjoyed an insightful round of questions and answers with Shri Nirmala, after which everyone joined in for a guided meditation. 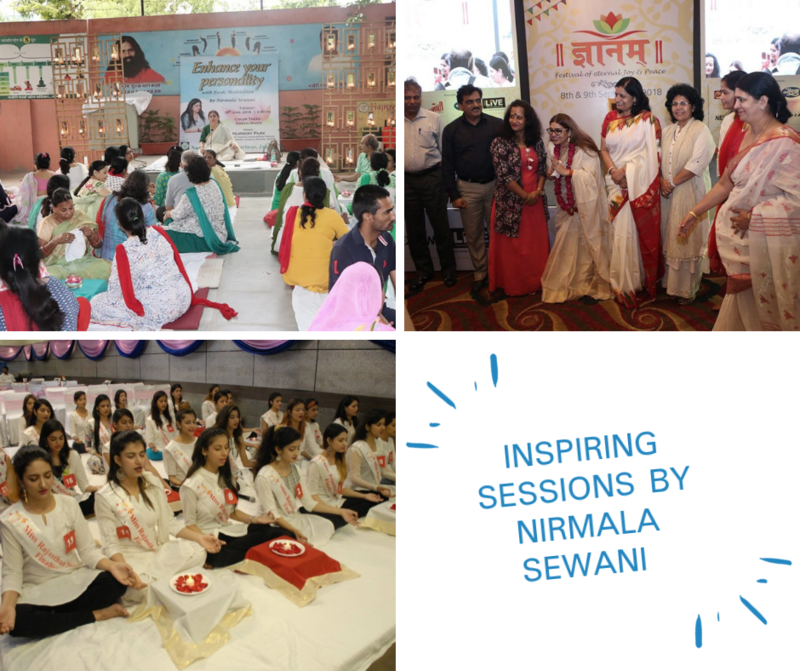 Guests could also engage with Shri Nirmala for a Personal Consultation after the live training program. The core focus of this session was to reprogram the heart and crown chakra. Shri Nirmala taught the audience that in order to attract an infinite flow of abundance, health, wealth and prosperity into your life , the Heart/Anahata Chakra and Crown/Agya Chakra must be first free of blockages, functioning in a clear and open condition. The 4th, Heart or Anahata is our energy center from which love, joy, happiness and compassion radiates from. It also allows where sorrow, lack, greed stems from.The workshop and consultation sessions helped participants to pinpoint their blockages in this particular energy center so that they could eventually be healed. Everyone felt a supportive environment to open themselves to communicate about their fears and self-understanding.. Shri Nirmala provided attendants of the workshop with spiritual tools to enhance their growth, such as meditation, visualization, breath work, acceptance, forgiveness, prayer, astrology, stones, aura cleansing and chakra balancing. Her most recent event was conducted over the weekend of 15th October 2016 in Jaipur. The night was special as it marked the arrival of “Sharad Purnima,” an auspicious harvest festival signalling the end of the Monsoon season in India. It is believed that the radiance of the moon on this night has an especially tranquilizing and illuminating effect on the mind. Shri Nirmala hosted a Collective Meditation that celebrated this lunar occasion by bringing together nearly 200 individuals and uniting them with the spirit of mantras that have the power to harmonise the chakras. The soothing effects of the mass meditation were unmistakeable as the participating faces glowed with peace and tranquility under the gentle guidance of the spiritual counselor and the light of the moon. These workshops are only the beginning of the series Shri Nirmala wishes the conduct over the coming months. She feels great joy in bringing spiritual community together in a world where this aspect of togetherness is needed the most. 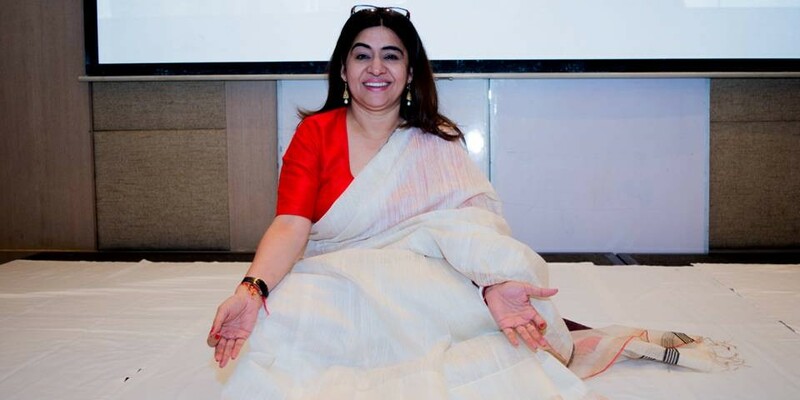 Stay connected to this page in order to tune into the exciting life-changing events that are to unfold in the following months and feel free to contact Shri Nirmala personally to create a direct connection with her as your heart wishes.